More than 120 investors with over $650 billion in assets in banks financing the Dakota Access Pipeline have called on the financial institutes to support the Standing Rock Sioux Tribe’s call to have the pipeline rerouted from Native American land. Citigroup, Wells Fargo, SunTrust Bank and BNP Paribas are among the 17 banks targeted in a letter signed by pension funds, asset management companies, and organizations. The signatories have a total of $653 billion in assets under their control. “We are concerned that if DAPL’s projected route moves forward, the result will almost certainly be an escalation of conflict and unrest as well as possible contamination of the water supply,” the letter reads. 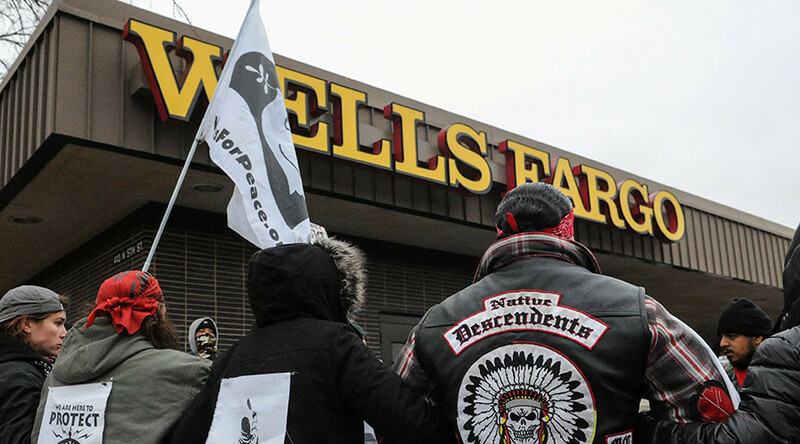 The banks have already been pressured by protesters that have urged people to divest from institutions that are funding the $3.7 billion project headed by Energy Transfer Partners. To date, bank accounts worth $53 million have been closed as a result of the DAPL movement, the letter claims. Seattle City Council voted to end ties with Wells Fargo over the pipeline, while New York mayor Bill de Blasio suggested he would support a boycott. The California Public Employees Retirement System, or CalPERS, one of the pension funds behind the letter, has previously been criticized for its holdings in ETP. The fund received a petition signed by more than 40,000 people demanding it sells its ETP holdings, according to the Financial Times. “We understand that the banks providing the project finance have contractual obligations to DAPL, but the extreme controversy tied to the project warrants their urgent action,” the letter states.